A collection of Steve Wallace news and photos. 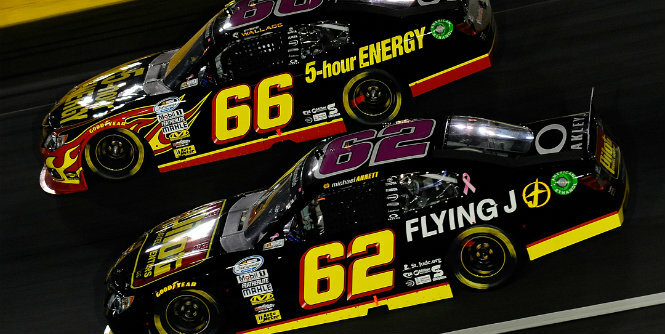 Steve Wallace is the son of former NASCAR champion Rusty Wallace. Rusty Wallace Racing will return to the race track in a limited capacity in 2013, with Steve Wallace behind the wheel of the team’s No. 66 car beginning with the Nationwide Series event at Charlotte Motor Speedway.